Click on the filter icon under Staff. 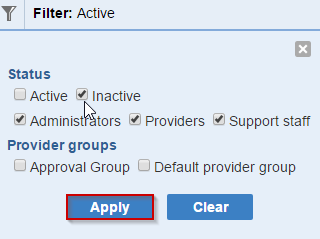 Select the 'Apply' button to filter. Search for the provider's name. In the Privileges tab, select the 'User active at this location' check box. Next, check the 'User is a provider at this location' check box, too. 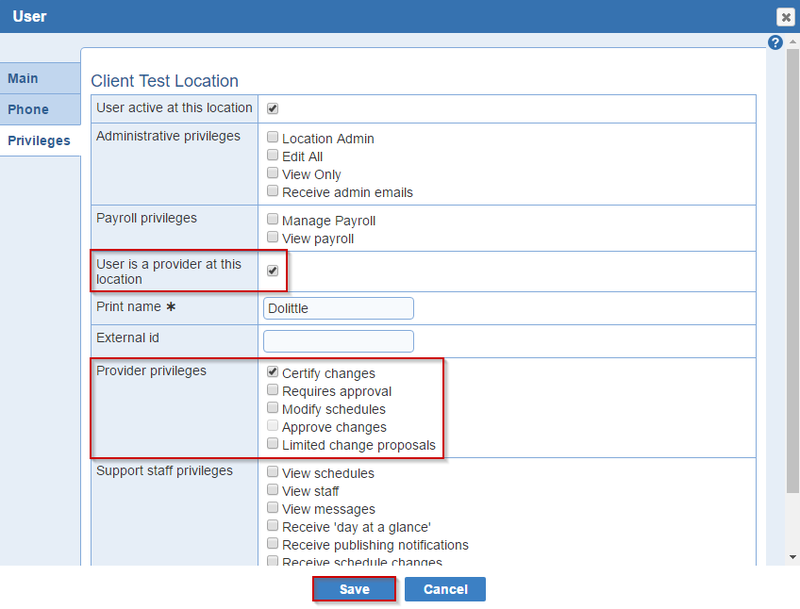 Then you can set up the provider privileges and save these changes to apply.